Preheat your oven to 400 degrees. Place the halved tomatoes in a medium bowl then pour 1/4 cup olive oil and salt over them and stir to combine. Spread the tomatoes in a single layer on a foil-lined baking sheet and roast in the oven for 45 minutes. After roasting, remove the tomatoes from the oven and set aside. Place the remaining 3 tablespoons of olive oil in a large stockpot over medium heat until shimmering. Add the onions and sauté until they start to brown, about eight minutes. Add garlic and sauté for one additional minute. 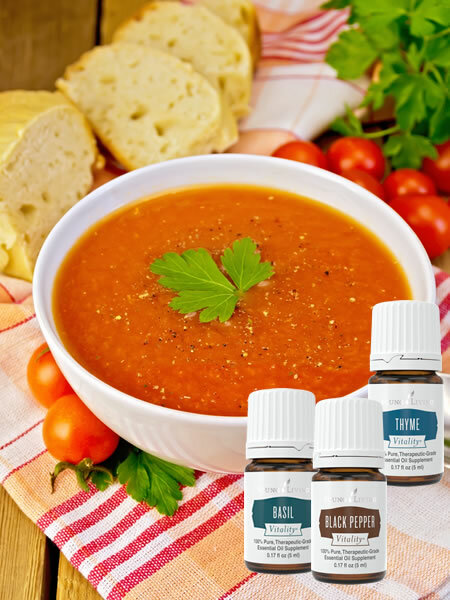 Add the roasted tomatoes (including any liquid from the baking sheet), red pepper flakes, canned tomatoes with their juice, fresh basil leaves, and chicken or vegetable broth. Bring all the ingredients to a boil and simmer uncovered for 45 minutes. Stir the essential oils into the soup and let cool slightly. Puree in batches in a blender until smooth or use an immersion blender in the pot. Adjust your seasonings to taste, serve warm, and enjoy! Melt coconut butter. Combine all ingredients in a food processor. 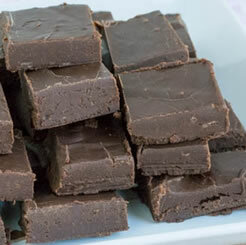 Smooth the fudge into a container or candy molds. 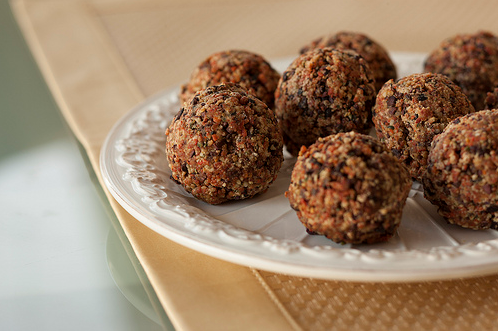 Place in the fridge for a few hours, or freeze for a few minutes. You can freeze it for longer periods of time; just be sure to thaw at least 15-20 minutes prior to eating. 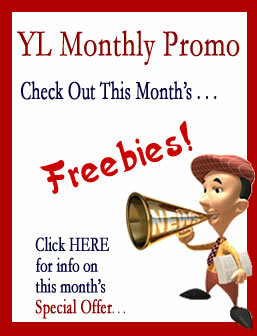 Getting ready to go to Young Living Convention and then onward for our summer vacation. Traveling and sleeping in hotels is usually a challenge for me. I sleep better in my own bed. I guess it is partly the excitement of travel, new things learned at the Young Living Convention and a bed I am not used to. I have a hard time getting settled down for a good night’s sleep. I have a special evening tea I like to drink in the evening while reading or watching a bit of TV before bedtime. Steep tea bag in cup of hot water. 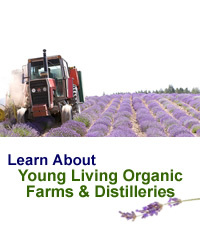 Add Lavender and Tangerine essential oils. Enjoy with a good book. 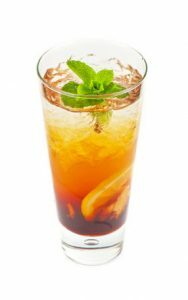 During the summer months I always love to drink more iced tea. It’s so refreshing on a hot day. Here are a few recipe ideas to change things up a bit. In the bottom of a 64-ounce pitcher, pour agave and peppermint essential oil. Pour hot water over top and stir. Add tea bags and steep until it has a dark caramel color. Quarter limes. Fill serving glasses with ice and squeeze one lime slice in each glass. Pour tea over ice and garnish with a sprig of mint and serve. 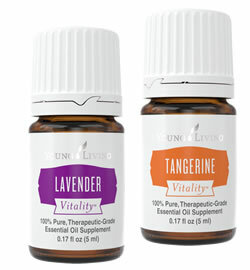 Other Citrus Vitality Oils – Citrus Fresh, lime, grapefruit, jade lemon, orange, tangerine. Slique Essence is delicious added to Slique Tea. Have you tried Slique Tea Iced? It’s really delicious on it’s own but add some oils and you’ll have a real treat. 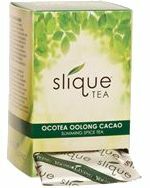 Slique Tea contains jade oolong tea leaves, sought after for their rich aroma and powerful antioxidant content. These leaves are handpicked from the high mountain regions of Taiwan, known for producing some of the world’s finest teas. All of these ingredients are enhanced with 100% pure therapeutic-grade Arabian frankincense powder, an exclusive ingredient from Young Living’s distillery in Salalah, Oman. Steep tea in boiling water for 5 minutes. Remove tea bags and add in Lemon and Lime essential oils. Add 2 teaspoons of Agave syrup if you desire sweetness. Stir and pour into ice filled glasses. Other Citrus Vitality Oils – Citrus Fresh, lime, grapefruit, jade lemon, tangerine.